Information on animals’ death circumstances, especially for particularly exposed species, can provide important clues to take the most appropriate and effective protection measures. As a result, Biolovision has developed a new mortality tool with which injured or dead animals can be reported as well as the assumed circumstances, such as electric shocks, collisions with windows or cars, falls into a chimney, etc. This new module is available both on the ornitho platforms ("Additional Information / Information" in the 3rd step) and in the NaturaList app. Please submit such observation only with a very precise localization. Instruction video can be found here. This development of this new module has been funded by the Auvergne-Rhône-Alpes region, LPO AuRA and the LPO network. The EuroBirdPortal is improving! The viewer has recently been updated and new countries like the Balkan Countries, Turkey and Israel are now part of the project. Here you find an example for the Common Crane. From now on the data of 2016 are also available. The new viewer has now a zoom function and can display the seasonal appearance of two species in direct comparison. The countless display options can also be shared easily. The EuroBirdPortal can also be reached directly via a link on the homepage of ornitho.pl. The data collected on each ornitho platform is directly transmitted (in coarsened form) to EuroBirdPortal. Last fieldwork season for the European Breeding Bird Atlas EBBA2! This year is the very last fieldwork season for the second edition of the European Breeding Bird Atlas. Many gaps still need to be closed, especially in Eastern and South Eastern Europe. Should you want to help us close these gaps, for example during your holidays, please find herethe relevant details and the mapdisplaying the regions where the biggest gaps are. The easiest way to record breeding evidences is to use the NaturaListapp from ornitho, which can be used across the whole Europe. Keep in mind that complete daily observation listsare always extremely valuable, particularly for this project. Thanks in advance for your valuable and appreciated cooperation and have fun while collecting bird sightings - wherever you are in Europe! New details on how birds respond to climate change have been revealed by volunteer bird watchers all over Europe. The information they´ve gathered shows birds respond to changing conditions in different seasons of the year. While some species benefit from these changes, birds that are adapted to colder regions stand to lose. This knowledge can help predict future bird communities in Europe and focus the effort to tackle the effects of climate change on the most vulnerable species. For example, the study found warmer winters benefit resident birds, such as the Short-toed treecreeper and the Collared Dove, with more productive spring times benefiting short-distance migrants such as the Goldfinch and the Woodlark. Warmer or more productive periods complemented the early or peak breeding season for these birds. The results are based on an incredibly large dataset from 18 different countries collected by volunteers and published in Global Change Biology led by the Center for Macroecology, Evolution and Climate at the University of Copenhagen, together with BirdLife International and the European Bird Census Council. "We found benefits from conditions observed under climate change for both resident birds, short-distance migrants and long distance-migrants, but at very different times of the year that complement their breeding season. So if we are to predict what the future bird community may look like in Europe, we need to understand how the conditions during breeding will change" says lead-author and Postdoctoral Researcher Peter Søgaard Jørgensen, who conducted the research from the Center for Macroecology, Evolution and Climate. However, the positive effects mentioned above do not extend to species adapted to the colder regions in Europe, such as the resident birds House Sparrow and Carrion Crow and the short-distance migrants Meadow Pipit and Redpoll. They have become relatively less abundant under the respective conditions. 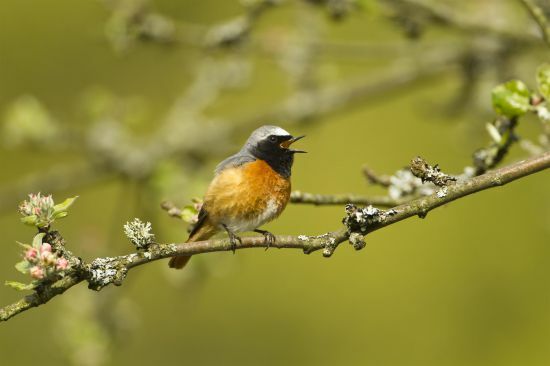 Birds arriving to Europe from furthest away (and therefore later in the year), such as long-distance migrants the Northern Wheatear and Common Redstart, generally benefit from warmer summers in Europe. As a group, however, they showed one of the most complex responses as they are also impacted by climate change in Africa. The results were generated with yearly data on 51 different bird species gathered by around 50,000 volunteers in 18 different European countries between 1990 to 2008. "This study shows the power of citizen science where highly skilled volunteers collect invaluable data and help to unlock new discoveries", says Head of Species Monitoring and Research, Richard Gregory from the RSPB. Global Science Coordinator for Programmes at BirdLife International, Ian Burfield, says: "Of course climate change will favour some species, but studies suggest we will have more losers than winners. That is why the BirdLife Partnership is actively delivering mitigation and adaptation solutions." Unfortunately, the study also shows the widespread long-term effects of agricultural intensification in Europe, where farmland birds continue to be in decline. It found long-distance migrants may be particularly vulnerable to the combination of agricultural intensification and climate change. "Long-distance migrants are already believed to be particularly vulnerable to climate change, as they experience impacts in multiple locations along their busy travel routes that stretch two continents. We found that long-distance migrants in particular were in decline in countries with intensive agriculture expressed through high cereal yields. Our results suggest that we should take action to protect long-distance migrant birds in countries with the most intensified agriculture" says Peter Søgaard Jørgensen. We are pleased to announce that the portal ornitho.pl is working now officially online. We invite you to register in the new system and start to submit your bird observations from Poland. Awibaza is now closed. All data have been transferred to ornitho.pl. If you had data on Awibaza and you wish to add them to your new account in ornitho, please register in the new portal and write an e-mail to ornitho@otop.org.pl giving us your user name from Awibaza. Thank you for your continued and important contribution to global conservation. Ornitho.pl is on-line for few last tests. We are planning to launch website after 4th May.